Climate change is undeniably affecting all aspects of human life. While efforts are been made at all levels to address its adverse impacts, the poor and vulnerable such as women, girls, boys, aged, people with disability and the aged tend to suffer most due to their poor coping abilities. As part of contributing to the climate adaptation process in Ghana, the Strategic Youth Network for Development (SYND) conducted a survey dubbed “Climate Change Impacts: The experiences of Youth Leaders in Ghana” targeting youth leaders in James Town, New Abirem and Gumani representing the Southern, Middle and Northern zones of Ghana respectively. 25 youth leaders were engaged in James Town drawn from the following groups No Noise Fund club, United Youth, Ashabienaa Youth, Concern Youth, Willows International, Ga Mashie Association, Great Thinkers and New Generation. In New Abirem, there were 32 youth leaders selected from groups such as Hweakwae Youth Association, Assembly Unit Committee, Yayaaso, and Aduasena. Gumani also recorded 23 youth leaders from Zee Sung youth, Nzagsi- ŋuni association, Nasara Youth Association, N-Gang ŋuni Youth Association, and N-Zagsi ŋuni Youth Association. A copy of the survey report can be found here. While in principle, gender mainstreaming or analysis is extremely necessary in the planning and execution of climate interventions, the Strategic Youth Network for Development (SYND) argues that, there is over reliance on WOMEN to the detriment of other components of Gender that is, MEN, GIRLS AND BOYS. Ghana’s climate change policy states that vulnerable groups, such as the disabled, the aged, children, youth and women, are particularly affected as they have poorer coping mechanisms. Indeed it acknowledged that, the youth form a significant proportion of the population of Ghana and live with the impacts of climate change much longer. As such, the youth are key stakeholders in the climate change process. Inspite of such recognition, the policy makes no concrete provision in tackling the effect of climate change on the youth. A study on the impact of climate change on women in three districts was conducted which confirmed that, although women undertake 85% of Ghana’s food distribution, they have difficulties in accessing land, land tenure security and formal financial services. Unfortunately, it is very difficult to cite studies conducted on the impact of climate change on young people in Ghana. The Strategic Youth Network for Development (SYND) has therefore embarked on a “Gender and Climate Change Advocacy” project which primarily sought to train and empower young people as climate change champions in their respective communities or districts. It focused on obtaining the impact of climate change from a gender perspective (specifically pertaining to young males and females) in selected districts. A copy of the report can found here [GENDER AND CLIMATE CHANGE]. Ghana intends to mobilise nearly US$ 22.6 billion investment from both domestic and international public and private sources towards the implementation of her Nationally Determined Contributions (Gh-NDCs) commitments. US$ 6.3 billion domestically (28.3% of total investment) is to be mobilized nationally whereas the US$ 16 billion is expected from international support. However Ghana’s ability to raise the needed resources is uncertain given the fact that the country’s climate interventions are largely donor driven. 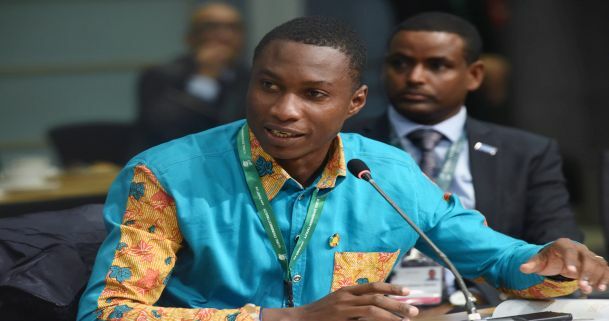 Strategic Youth Network for Development (SYND) makes recommendations on how domestic resource mobilization will be a sustainable option which is consistent with President Nana Addo's "Ghana Beyond Aid" policy target.